CSRNA provides documentation certifying that those assigned to perform community service as judicial punishment have completed the required service. Using CSRNA eliminates any concern of legitimacy in regard to community service completion. Additionally, CSRNA will lighten the court calendar by expediting the completion of cases in which community service is assigned. 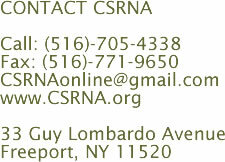 CSRNA furnishes defense lawyers with the resources necessary to easily refer their clients to CSRNA. Once enrolled, CSRNA monitors clients' completion of the community service that they are assigned by the court. With CSRNA, superfluous court appearances are a thing of the past. Attorneys will no longer have to worry about their clients not completing community service. Defendants will be matched with community service opportunities that are geographically convenient, fit their schedules, match their interests and skills and are in the individual's native language. Fulfilling community service requirements couldn't be easier. CSRNA matches volunteer's interests and skills with the needs of charitable and not for profit agencies. The volunteers are educated as to the needs of the service providers and what will be expected of them. As a result, good and valuable organizations that have a wide range of causes and needs will be supplied with a constant flow of individuals ready to provide service. CSRNA does not require a fee from our Community Service Providers and, as such, there is no cost and only benefit.